A fashion + lifestyle blog by two sisters. Launched in 2016, Not Necessarily Blonde, is a fashion blog written by two sisters. One in New York City and one in Orlando. 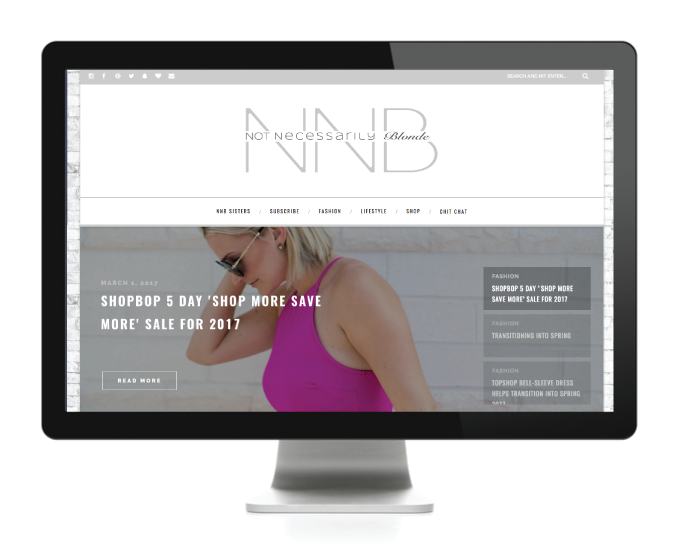 We worked together to create a functional blog for all their fashion posts with special features, shoppable galleries, and lovely sidebar. Into fashion? Go follow them!